Islander’s brother, Kahuna, discovered Highlander’s stash of dark chocolate-covered almonds in our house and could not resist eating them! He felt so guilty afterwards that he went to the grocery store to replace them before Highlander got home from work. Later, when Highlander wanted to snack on them, he noticed his candy did not taste quite right. They were milk chocolate instead of the darker flavor! As a “peace offering,” Kahuna bought another BIGGER bag of bittersweet chocolate almonds so they can both enjoy them together. Amused by this incident between her husband and only sibling, Islander made a bittersweet chocolate almond tart when the candies were eaten up. Both Highlander and Kahuna liked it—but still prefer slices of this decadent dessert to be garnished with the dark chocolate-covered almonds. Those who are nuts about dark chocolate and almonds ought to try the tart version. 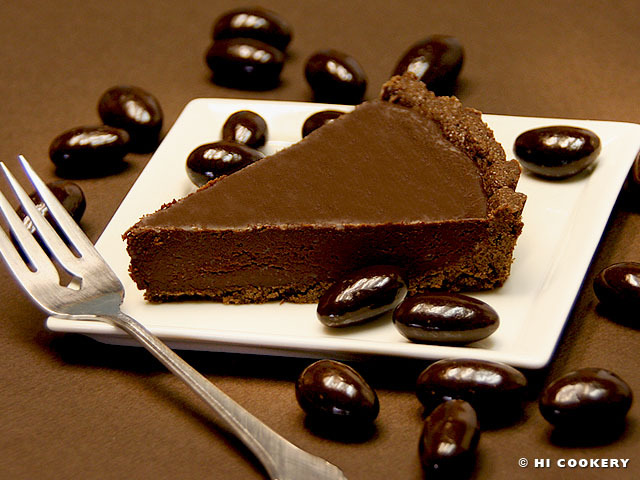 Bittersweet chocolate almond tart is a terrific treat for National Bittersweet Chocolate with Almonds Day. 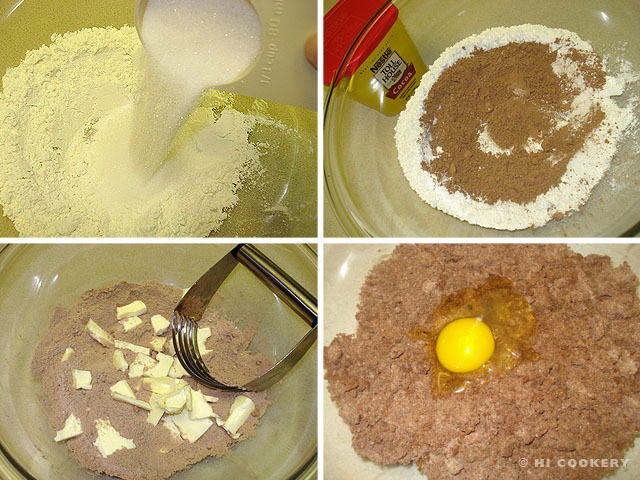 In a bowl, combine the flour, sugar and cocoa powder. Cut in pieces of cold butter with a pastry blender or fork. Stir in the egg until dough is well blended. 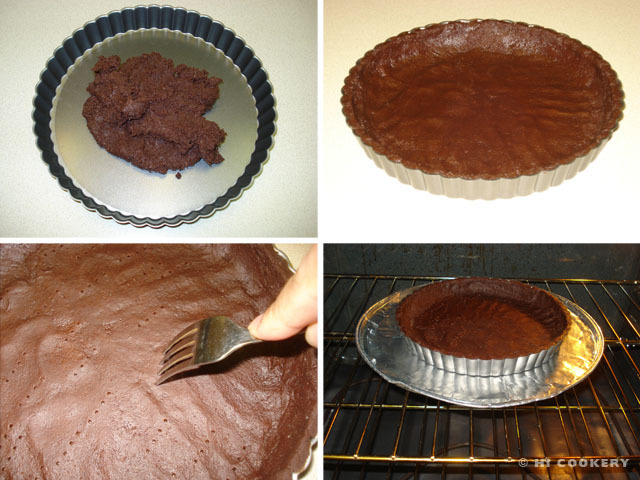 Press into a 9-inch tart pan (with a removable bottom) on the bottom and sides. Refrigerate for at least one hour. Prick the bottom and sides with the tines of a fork. Bake in a preheated oven at 350 degrees for 20-25 minutes. Remove from the oven and cool completely. Make the filling. 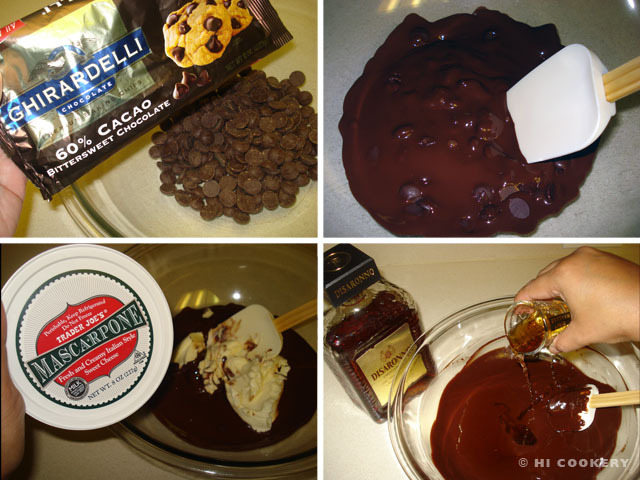 In a bowl, microwave the bittersweet chocolate chips until melted. Stir until smooth. Cool for about 5 minutes. Fold in the mascarpone cheese. Stir in the amaretto. Smooth the filling into the crust. Refrigerate for at least an hour to set. Push the bottom up to release the tart from the whole pan. Slice and serve. Garnish with dark chocolate-covered almonds, slivered blanched almonds or whole roasted almonds. 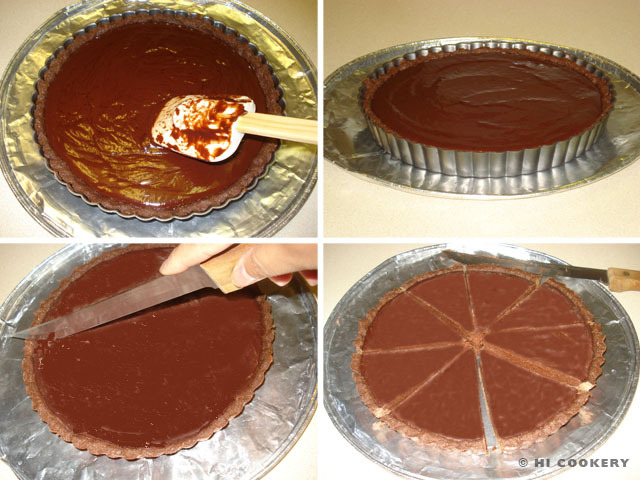 Slice the tart into small wedges as this is a rich dessert. Servings may also be topped with whipped cream or berries. Search our blog for other recipes containing chocolate and/or almonds. How much is too bitter in bittersweet chocolate for your tastes? When we sampled chocolates at a store a long time ago, we tried white chocolate (0%)* to unsweetened chocolate (100%) and others in between. The percentages reflect how much cocoa mass is included in the chocolate. The higher the percentage, the more intense and darker the chocolate. That percentage is lowered by the amount of sugar and dried milk solids added to the chocolate. Also, different manufacturers classify the percentages differently and label their chocolates as bittersweet, semi-sweet or extra-dark. Highlander can tolerate up to 85% in his chocolate but that tastes too bitter for Islander. She prefers hers no more than 70%. So that is the chocolate percentage she used when baking bittersweet chocolate cheesecake cups (although she did drizzle the tops with a 54% chocolate to add a little sweetness and color contrast). Try sampling the variations of chocolate percentages and see how high you prefer your bittersweet tooth. Then use that percentage to prepare bittersweet chocolate cheesecakes cups in celebration of Bittersweet Chocolate Day. 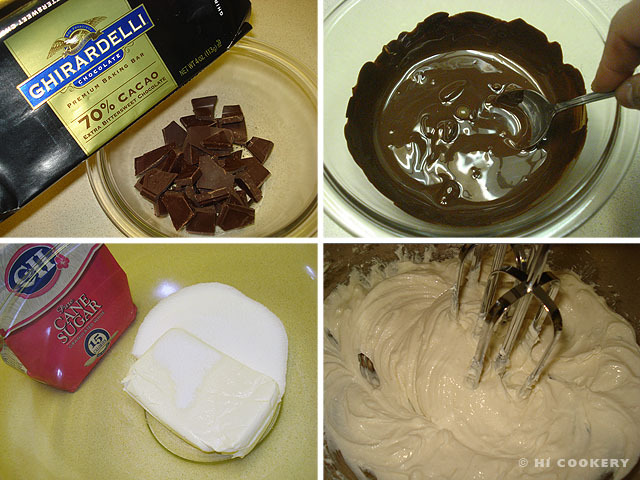 In a microwave-safe bowl, break the bittersweet chocolate into small pieces. Melt according to the manufacturer’s directions. Stir until smooth. Set aside to cool slightly. In a mixing bowl, beat the cream cheese with the sugar. Stir in the melted chocolate until well-incorporated. Add the egg to the batter. 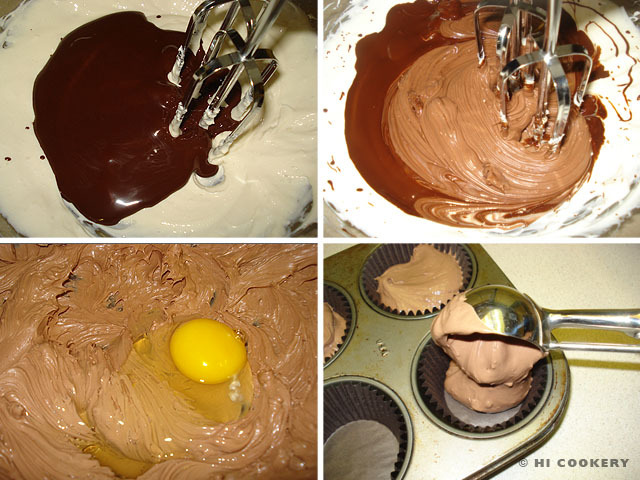 Scoop into a muffin tin lined with six cupcake papers. Bake in a preheated oven at 300 degrees F for 15-18 minutes. 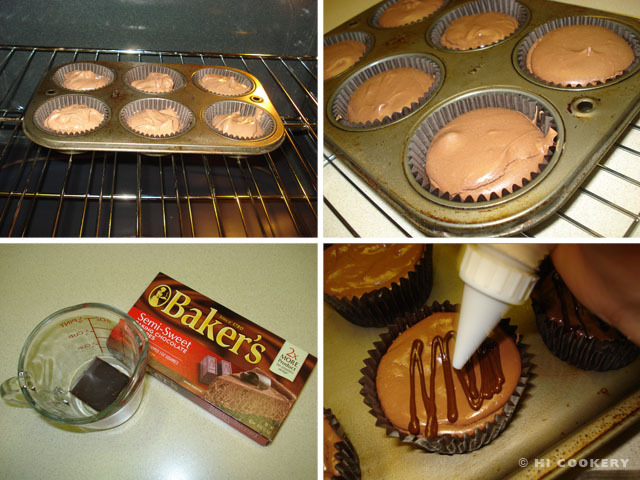 The bittersweet chocolate cheesecake cups will bake up smooth and shiny with a soft-set center. Remove from the oven and place on a wire rack to cool completely. Cover with plastic wrap and chill in the refrigerator to set. Melt the chocolate square according to the manufacturer’s directions. Use a spoon to drizzle back and forth over the cheesecake cups. Or place melted chocolate in a pastry/plastic bag with a small round tip/opening to decorate with drizzles. 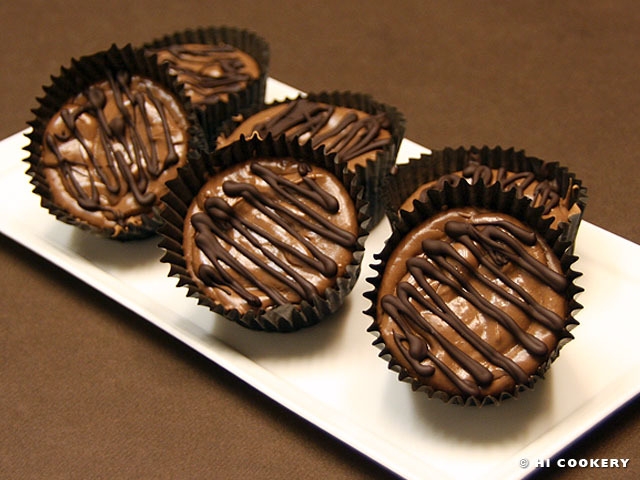 Yield: 6 bittersweet chocolate cheesecake cups. *White chocolate is technically not included in the traditional percentage ratings because it does not have cocoa solids. However, it has a cacao percentage from cocoa butter ranging from 38%-41%. A variation of this recipe includes adding an Oreo cookie or chocolate wafer in the bottom of the muffin cups before pouring in the batter as a textured base for a mini pie or tartlet-like deesert. Chow down on more chocolate and cheesecake!!! Search our blog for other chocolate and cheesecake recipes.